Wash cucumbers. If cucumbers are not freshly picked, soak in very icy water for at least 2 hours. Drain and pat dry. Make your brine by mixing water and sea salt together until dissolved, set aside. Cut off stem end of cucumbers and discard; slice cucumbers into spears by cutting them length-wise into quarters. Place all spices, including garlic, in the bottom of a 1-quart sized mason jar, or other same size fermentation jar with air-lock lid. Pack the cucumbers spears inside the jar tightly, cut stem-end down. Packing them in tightly will help to keep the pickles from floating when you add the brine. Break bay leaf into two pieces, place in-between pickle spears. 1. Can I use black tea leaves instead of oak, grape or horseradish leaves? I’ve been told that the tannin’s in the tea work just as well (and more convenient for me to find). 2. Do I have to make spears? Can I use this recipe to make whole pickles? And if so, do you recommend poking the sides with a fork? Christy, you can try the tea leaves. I’ve heard they work as well, though I haven’t personally tried it. Usually I just throw in a few bay leaves and they help also. Yes you can make “whole” pickles, they will just take longer to ferment. I like to make spears because it’s faster and the spears can be packed into a jar more easily. Unless you have evenly slender pickling cucs they’re kind of awkward to get them to pack into a jar nice and neatly. If you do go ahead and make whole pickles I would poke them a few times around. No need to make large holes, maybe just use a toothpick or wooden skewer. Also keep an eye on the fermenting time. It could take 2-3 weeks+ until they are ready. I just finished putting a batch together to ferment and some of the pickling spice has floated to the top. Is that okay? Lindsay, yes it is okay for the spice to float to the top. That is totally normal. Why do some fermented dill pickle recipes tell you to keep them warm for a certain period.In one case for 1 week?Which should I follow? Melodie, I cannot speak to other recipes. But I can speak from my own personal experience and knowledge. If the cucumbers are left out to ferment for 1 week they will be quite soft and mushy. I don’t know about you, but I like my pickles to be at least somewhat crisp… not like baby food 🙂 Maybe the other recipes are focused only on obtaining a super high probiotic count, not for taste, nutrition, or eating enjoyment. See the following article: If You Are Eating Fermented Foods For Only This Reason, Stop! I would like to know if it is okay to brine/ferment the pickles whole, and then slice them before processing in a water bath canner? I want to make fermented dill pickle slices rather than spears or whole. I understand they get mushy if fermented in slices, but what about slicing them after fermenting, before canning? Caite, I have fermented pickle slices many times before and they turned out just fine…still crisp and tasty. It just all depends on how long you ferment them for. If left to ferment too long, yes they will get mushy. Slices really only take 2 (maybe 3) days of fermenting time. On the water bath canner… I guess I am confused. If you are talking about the typical “boiling” canning method then I would not advise this. Two things would occur if you tried to “can” your fermented pickles. 1) They would turn to mush. AND most importantly 2) All of the good, healthy probiotics and enzymes would be killed/destroyed from the heat. The fermented pickles ARE preserved and will last for months in cold storage – a refrigerator, or a root cellar/basement below 50 degrees F.
I just completed the process of adding all of the ingredients to the crock, placed it in cool dark place. I now realize that I put half of the amount of salt in by mistake. Can I make a really sting mini brine with the extra salt that I failed to put in the first time. I have never done this before…I will need to put in close to six tablespoons of salt. You can try adding extra brine now, but it is always best to add everything in the very beginning. I live out in the country and it’s hard to find fresh dill. Can I use bottles dill weed? Yes you can use dried (bottled) dill weed. I would put it on the bottom before adding the cucs to keep it from floating as much. I tried both of your pickle recipes and the results were awesome (especially since I quadrupled the garlic content 😉 The question I have is one recipe calls for whey and one does not yet both are “lacto-fermented.” What is the difference, and how can both be defined as lacto-fermented? Thanks for clearing this up for me…and, thanks for the recipes. I have convinced both my parents and my in-laws to switch their pickling recipes to remove the vinegar and move to lacto after they tasted these pickles. Jason, I’m glad you liked both pickle recipes. Let me clarify…the term “lacto” in lacto-fermentation refers to the production of lactic acid, not milk or dairy. Both salt ferments and whey ferments produce lactic acid. The pickle recipe that uses whey just does so for convenience. They whey can be omitted and a simple salt brine of 1 Tbsp. salt to 2 cups filtered water used in its place, poured over the cucumber slices in the jar. Any concerns using store bought cucumbers? I will want to make another few batches in the winter and won’t have fresh, garden cuces. Store-bought cucumbers are fine. Of course the fresher they look the better. I grow my own “pickling cucs” every year, but depending on the harvest I still buy some store bought and they work just fine. Though, at least in my neck of the woods, it is hard to find pickling cucs even in the store when the weather gets too cold. I’ve tried fermenting standard cucumbers, but they always get too mushy for my taste to be a “pickle”. You can use larger jars and just double/triple/quadruple the recipe as needed. So what are “pickling cucs”? My pickle spears got mushy and I was wondering if I am to use “pickling cucs”. 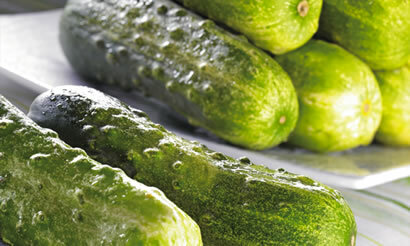 Pickling cucs (cucumbers) are cucumbers grown just for the purpose of making “pickles”. They are much smaller than a regular cucumber with a tougher, slightly bumpy skin. The pickling cucumbers will stay crisper and produce a good pickle. On the other-hand, regular everyday cucumbers will turn to mush quickly and do not produce good pickles. When you say “transfer to cold storage,” do you mean refrigeration or will the basement do? I am very new to lacto-fermenting. Can I make several batches of these and then just store them? Or do they need to have the air lock system? Or could I water bath process them after the few days? Thank you. Rachel, welcome to the world of fermenting 🙂 I am happy to answer your questions. You can make as many batches as you would like. Though all fermented foods (after the fermenting process) need a cold place it live. It should be at least 50 degrees F, though 40 degrees F is much better. This cold slows down the fermenting process. The air-lock system is only used during the fermentation period. After that it can removed and a solid storage lid (comes with the kit) be put in its place. Then the jar of fermented food goes into cold storage (see answer above). You would NOT want to use a hot water bath, as this defeats the purpose of fermenting. When we lacto-ferment we are culturing the “pro-biotics” on the vegetables themselves. Most of us understand just how “healthy” and beneficial pro-biotics are. So heating in a hot water bath would destroy them. 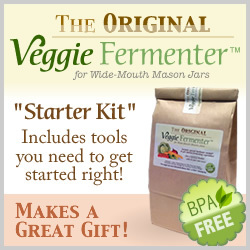 To help you on your journey to learning about fermenting I would suggest you look into purchasing our Total Lacto-fermenting Kit, this includes and Air-lock System and the book “Lacto-fermenting: The Easy & Healthy Way”. The book covers everything you could ever want to know about fermenting vegetables. You can find it in our store here. Thanks for the tip. I’ve used grape leaves, occasionally, when I have them available. It is sometimes hard to come by horseradish leaves and find oak leaves that are certain to be free of pesticides. I do agree they help keep the “pickles” crisper, especially where storing them for longer periods of time. I got a “start” of horseradish root from a relative…it’s easy to grow. Just take a portion of the root and stick it in the ground with the stem/leaf end up. It will start to grow and leaves appear in just two short weeks. It’s worth seeking out and planting. Thanks, for the info. Will have to seek it out and try planting. How is it lacto-fermented? I thought you needed dairy for that stuff? The process of lacto-fermentation happens when the starches and sugars found within vegetables and fruits are converted to lactic acid by friendly bacteria. 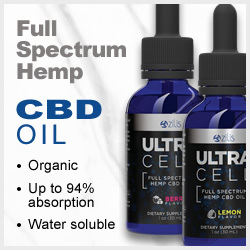 Lactic acid is a natural preservative that inhibits the growth of putrefying bacteria. The term “lacto” in lacto-fermentation refers to this production of lactic acid. This is the first year I have tried preserving vegetables by lactic acid fermentation. I have several half gallon ball jars of cucumbers on their way to being dill pickles. I have a small room that I have dedicated to be a “root cellar” but it is a former bedroom in the downstairs of a raised ranch. I also have several quart jars of cabbage on the way to being sauerkraut. I have replaced the two piece canning lids with plastic storage lids. I noticed when I did this, far less gas escaped the jars and I assume this is because the lids are not as air tight. How long can I safely expect to store these fermented vegetables. I am building shelves and the weather will be cooler soon and there is a window for ventilation. You are right the plastic storage lids are not air-tight. This is why we created a special food-safe gasket for our Lacto-fermentation Air-lock Kits. We prefer using these kits over just a simple lid, as it allows air/gas to escape without any air getting in (lacto-fermentation is an anaerobic process). Which eliminates the possibility of jars exploding due to pressure build-up. The air-lock system also makes much better tasting ferments in our opinion and keeps most mold growth down. A note about storage… Once the food has finished fermenting you will need to take any air-lock system off (if using) and replace with the plastic storage lid. Then you MUST put the fermented items in cold storage. For me this is the fridge, but for others it cold be a basement or root cellar… anywhere a temperature of at least 50 degrees F is constant (40F is even better). If you do not keep them cold enough, they will continue fermenting and mold will eventually grow and overtake it. The cold slows the fermentation process down dramatically. If put in proper cold storage the vegetables could last up to 6 months, depending on the hardness of the vegetable (softer vegetables like cucumbers, tomatoes, etc. will last a little less). Putting a piece of Horseradish root in the jar will help keep them crisp..> Also some people use a horseradish or grape leaf to hold everything down on top, as well as to assure crispness ! I have had good results this way. Karl, yes that can help with the crispness. Thanks for the tip. I have tried a grape leaf before and it did seem to help keep the pickles crisper. Though I wonder if many people, not having vineyards in their backyards, would have a hard time obtaining pesticide-free fresh grape leaves? Question: I made the pickles per the recipe, but they have a slightly bitter aftertaste. Anyone else notice this? It’s not a deal killer, and the pickles are still good, but there is a slight harshness in the flavor. Did I do something wrong? (Let them go three days, until actually, they stopped “working,” and put them in the ‘fridge. Thoughts? And thanks! I’d been planning to make pickles all summer, but only got to it now! Wonder if it was my English cucumbers…? Hi Vita, it may be the cucumbers themselves causing the bitter aftertaste. I’ve had that happen to me before with a batch and then the next batch I made was fine. But I’ve always used the small “pickling” cucumbers and have never tried using English cucumbers. Sounds like you did everything right…. wish I could be of more help. Do the pickles stay crispy when you do them this way? I have been making slices and they keep getting mushy and I am trying to determine what changes I need to make to keep them crisp. Thanks! By the way — I just found your site and I love it! I’ve done pickle slices and yes they do tend to get mushy. But the spears…the way I do them in this recipe, seem to stay pretty crisp for a while. I think it has something to do with the bay leaf. Adding a bay leaf or two when making the pickle slices may help, but I haven’t tried it myself.